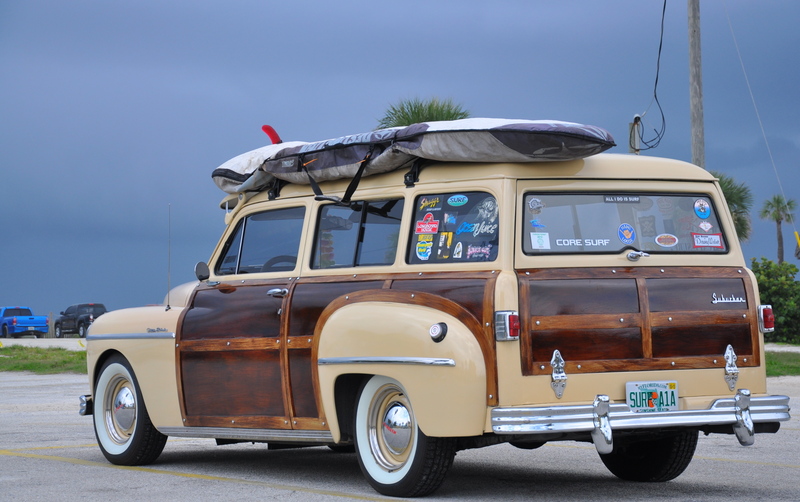 On Wednesday the sun finally came out and the waves all but disappeared on the east coast of Florida after tropical storm Issac turned into Hurricane Issac in the Gulf of Mexico. 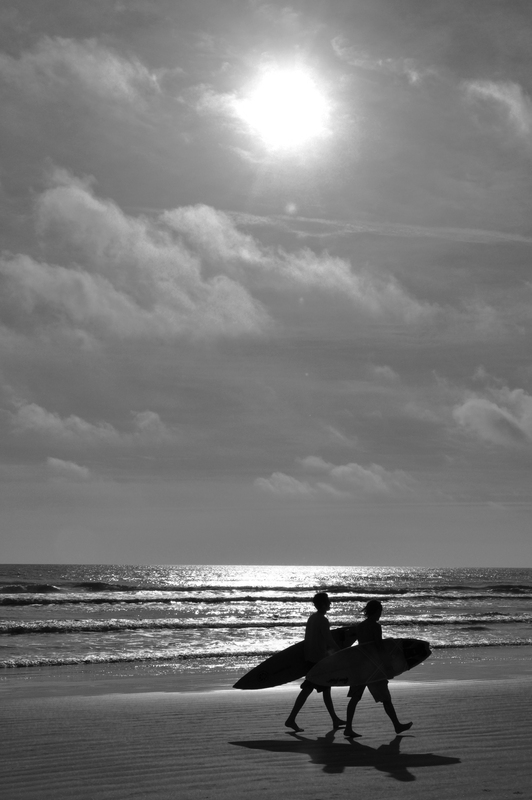 I kicked around New Smyrna Beach looking for a fitting Endless Summer-like photo and came across these two surfers. New Smyrna Beach is a little beach town tucked away from the more touristy areas of Daytona Beach to the north, and Cocoa Beach to the south. I’ve been going there since I was two years old, and despite its nickname as “The shark bite capital of the world” I have spent hundreds of hours there in the water and have never once seen a shark there. In keeping this blog on track about screenwriting, I can’t think of too many working Hollywood screenwriters who are or were screenwriters. But it is worth mentioning the documentary Hollywood Don’t Surf—a movie that was released last year and played at the 2010 Cannes Film Festival. The doc connects Hollywood’s fascination to surfing over the last fifty years. By the way, that title—Hollywood Don’t Surf—is a play on the famous line spoken by Robert Duvall in Apocalypse Now—”Charlie don’t surf.” That line was written by a surfer/screenwriter—John Milius. On the commentary track of Big Wednesday—which Milius wrote & directed— he talks about going surfing before the day’s shooting started. Before Milius hit the surf, attended USC film school, or became an Oscar-nominated screenwriter—he was born in St. Louis where his father was a shoe manufacturer. It’s worth noting that Tennessee Williams was a shoe salesman in St. Louis (as was the character Tom in his play The Glass Managerie). P.S. After spending the day at the beach again on Thursday, I flew back to Iowa just in time to catch the remnants of Hurricane Issac. Just before I took off I also learned I was nominated for another Upper Midwest Emmy for a project I shot earlier this year. Then after I landed I got a call about a shoots in Miami and Dallas with some NFL players. A nice end to a relatively slow month on my end. One thing the ocean teaches you is to be patient between waves and calm days. On stormy days it can also teach you to pray for and appreciate the calm days. When the outer bands of what would become Hurricane Isaac passed through Florida a few days ago it brought a lot of rain. Though the waves were mushy, it also brought out a few surfers. I took this picture in front of the pier at Cocoa Beach. As a nice screenwriting connection to yesterday’s post on screenwriter Dudley Nichols, he co-wrote the screenplay for The Hurricane (1937) which was directed by John Ford. That made me think of other movies that feature some aspects of a hurricane (or similar storms) and this is a partial list. Before Neil Armstrong took that historic step of being the first person to walk on the moon, he took his first steps in the small town of Wapakoneta, Ohio where he was born in 1930. It was reported that as teenager he worked in a pharmacy there, ‘saving money for flying lessons.” A reminder that before you shoot for the moon, start small. Small steps before giant leaps. Because one of the themes of this blog is people rising up from small (seemingly unlikely places) and doing great things, I think—though not a screenwriter— Neil Armstrong’s life story qualifies. Regardless, putting a man on the moon was one of the great technological and symbolic acts of modern history. (It was also one built on years of failures and an immeasurable amount of man hours.) I’m old enough to remember all the debates about how it was impossible to put a man on the moon. So on July 20, 1969—suddenly everything seemed possible. I thought it also fitting that Armstrong died in Cincinnati, just about an hour away from where Orville and Wilbur Wright designed and built the first successful airplane and where both also died. So wherever you live, shoot for the moon—but keep the rest of your life in perspective. P.S. As far as I can tell, the city of Wapakonita was named after a Shawnee Indian Chief. And Oscar-winning screenwriter Dudley Nichols (The Informer) was also born in Wapakonita in 1895 and wrote for more than sixty movies including Stagecoach, For Whom the Bell Tolls, and Bringing up Baby. He was also the president of the Screen Writers Guild in 1937 & 1938. I bet when he died in Hollywood in 1964 he thought that no one more more accomplished then him would ever be born in Wapakonita . Over the past 15 years, I’ve had the opportunity to see many different aspects of Chicago (The Loop downtown, Ukrainian Village, Wrigley Field, Cabrini Green, Wicker Park, Oak Park, Highland Park) but yesterday was the first time I ever went to The Heart of Chicago. I was doing a video shoot in the Pilsen neighborhood, which is the mostly American Mexican community on the Lower West Side of Chicago. One thing that you can’t miss when you drive through the area is the large amount murals on the side of buildings. 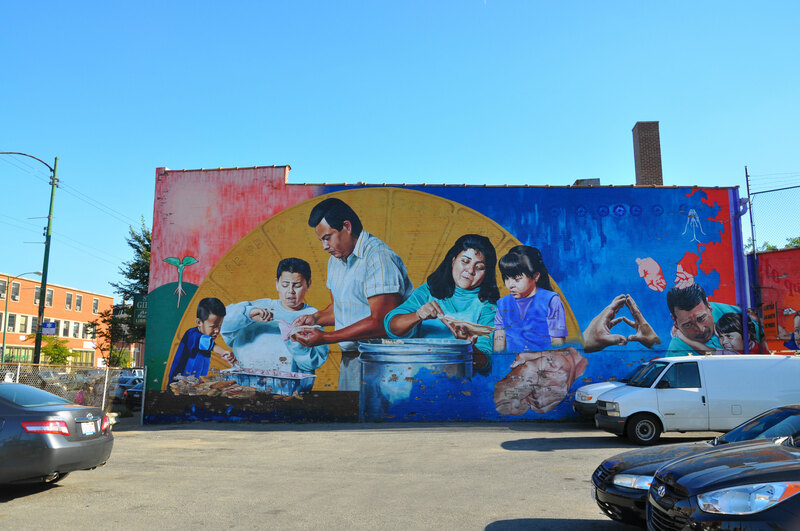 It adds a vibrant, colorful, creative vibe—and cultural context— to the area. P.S. Though I was in Chicago less than 24 hours on this recent trip it was like going around the world. Stayed in Greektown (A little less Greek since they built a Walgreens in the My Big Fat Greek Wedding area), for breakfast I had southern style shrimp and grits at Wishbone (around the corner from Harpo Studios and a favorite place of Oprah’s), Mexican food for lunch, and pasta in Little Italy for dinner.